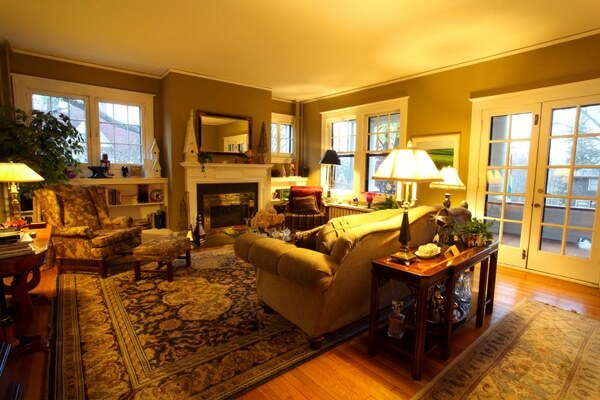 You are welcomed to our Iowa City Bed and Breakfast through the West entry. Fresh baked cookies greet you each afternoon. 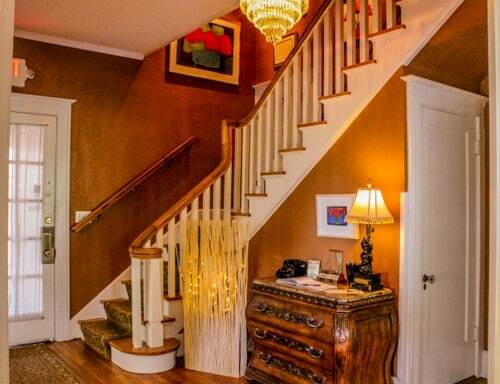 Examples of Bob and Mark’s art collection line the staircase to the second floor. 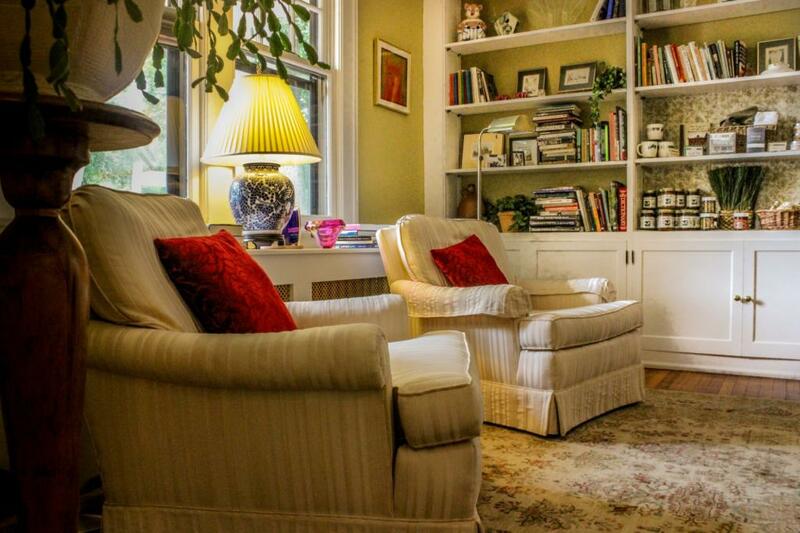 Enjoy visiting or quiet reading by the fireplace in the living room. 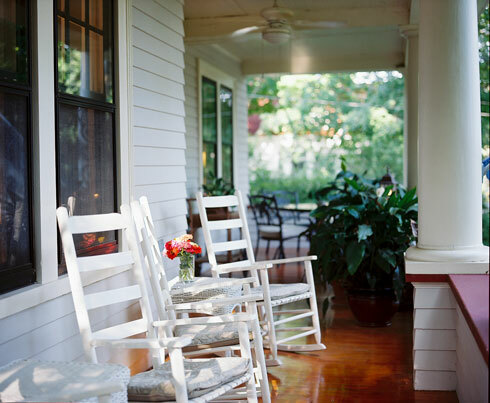 Have your first cup of coffee or tea of the day on the spacious, pillared porch. A guest computer and printer are available for you to use with internet connection. Browse the morning papers or enjoy one of the books by authors and poets from the University of Iowa Writer’s Workshop in the comfort of one of the lounge chairs. 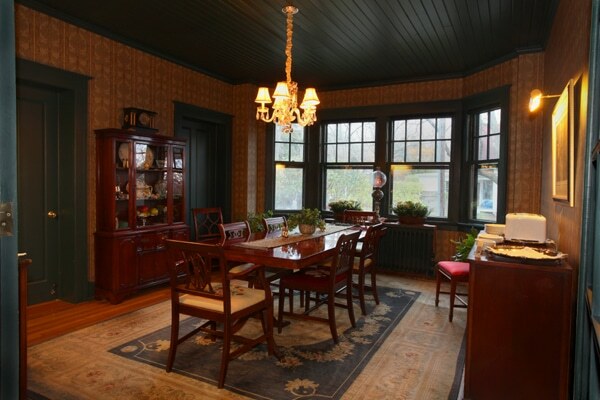 Share conversation with other guests while enjoying a delicious breakfast each morning of your stay at our Iowa City Bed and Breakfast. Private bath with hair dryer and bath products.